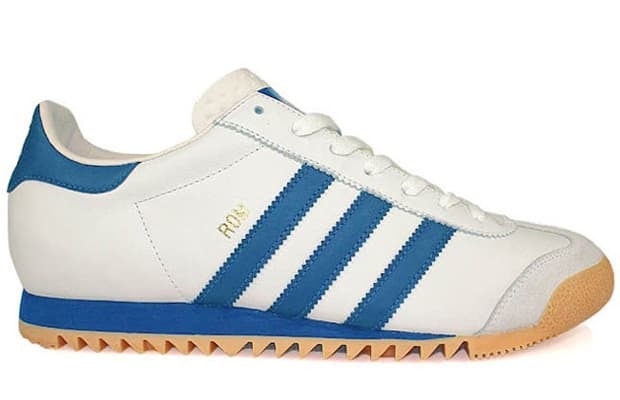 The adidas Originals Rom, their Rome Olympics (1960) Games inspired sneaker makes its way back for a second year in a row. The slick white leather upper features royal blue details and sits atop a gum sole. They will be available for purchase in July, and you can find them at UK based End Clothing.